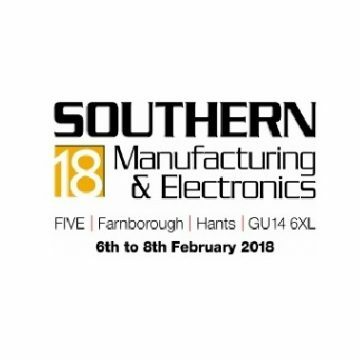 As an internationally recognised market leader in high-quality, industry-standard electronic connectors and cable assembly solutions, Leotronics is proud to be a part of The Southern Manufacturing and Electronics Show 2018. This is the premiere Electronic Exhibition in the South of the UK for the Electronics Industry and is the largest and longest running exhibition for electronics production, sourcing and contracting. There’s a lot to gain from attending the show including opportunities to meet with new local and national suppliers – we love getting a first look at new products. We will also be making the most of the technical seminars, live demonstrations and industry experts on offer, as we are always working to improve and seek out the very best for our customers. Come and see us on stand A115 where our cable assembly and electronic connector experts will be available to discuss all your cable assembly solutions. As the sole UK agent for the Civilux Group and a founding member within the Conexcon Partnership, we’re proud to be able to provide competitively-priced, high-quality connectors and cable assemblies to our customers worldwide. We’d love you to come along and discuss any upcoming design projects and benefit from our progressive and professional approach and first-rate technical support. On a more personal level, we’re looking forward to coming face-to-face with our existing and potential new customers. At the core of our values is superior customer service and satisfaction, which has been recognised by the ISO. For further information, a comprehensive list of exhibitors, or to pre-register, visit the show’s official event page here http://www.industrysouth.co.uk/. To pre-book a free consultation with our experts at the show, contact us today.